PicardiPlace has a variety of accommodation suitable for all from solo travelers, families, couples and honeymooners. 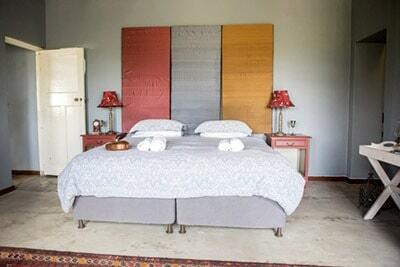 PicardiPlace is a luxurious guest house in Rawsonville – situated on a working wine farm in the Breedekloof Valley. Here you can enjoy the open spaces of the farm and the spectacular views of the surrounding mountains. 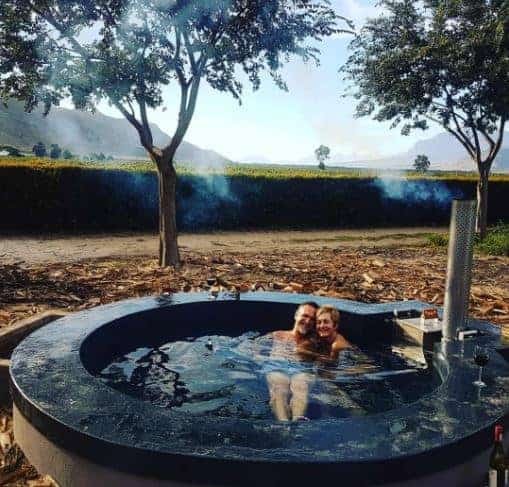 PicardiPlace is situated only an hour’s drive from Cape Town, near the quaint village of Rawsonville on the beautiful Slanghoek Road. We would like to share with visitors a variety of experiences displaying hospitality inspired by the boundlessness of our surroundings. An en-suite bedroom, individually decorated with a tasteful selection of both shabby chic and classic-style theme. With its own private entrance from the edible garden, sit and relax outside, enjoying the views of the vineyards and surrounding mountains. The room consists of a king size bed and an en-suite bathroom with a shower. Equipped with a ceiling fan, mini fridge, tea/coffee facilities, hairdryer, and bathroom amenities. This room is inter-leading with the Rosemary Bedroom to accommodate families. Free WiFi and off street parking provided. An en-suite bedroom, individually decorated with a tasteful selection of both shabby chic and classic-style theme. With its own private entrance from the garden, sit and relax outside, enjoying the views of the vineyards and surrounding mountains. 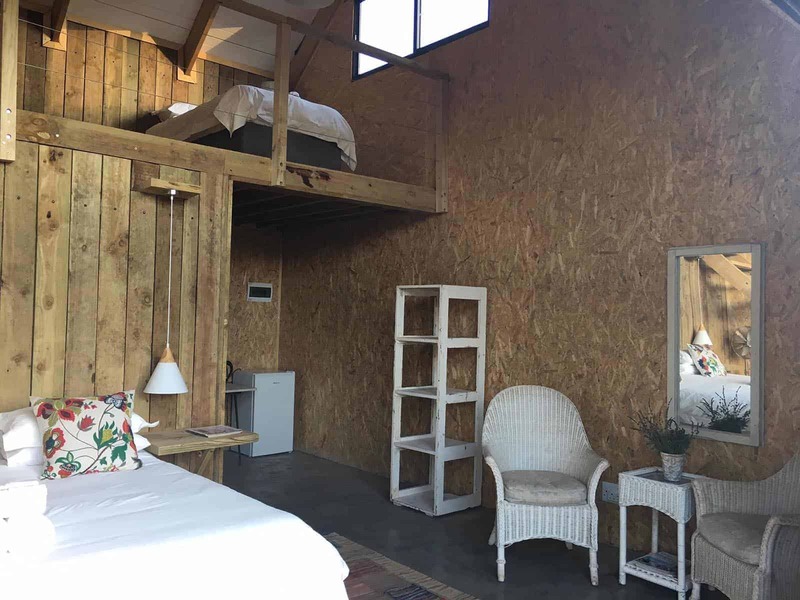 The room consists of two single beds and an en-suite bathroom with a shower. Equipped with a ceiling fan, mini fridge, tea/coffee facilities, hairdryer, and bathroom amenities. This room is inter-leading with the Oregano Bedroom to accommodate families. Free WiFi and off street parking provided. 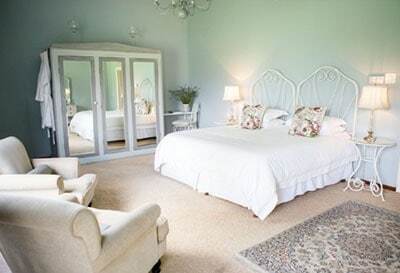 An en-suite bedroom, individually decorated with a tasteful selection of both shabby chic and classic-style theme. With its own private entrance from the edible garden, sit and relax outside, enjoying the views of the vineyards and surrounding mountains. 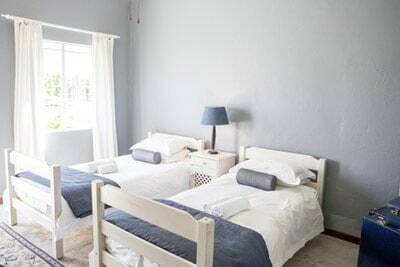 The room consists of a king size bed and an en-suite bathroom with a shower. Equipped with a ceiling fan, mini fridge, tea/coffee facilities, hairdryer, and bathroom amenities. Free WiFi and off street parking provided. This spacious bedroom is well-appointed and individually decorated with its own private entrance. Relax under the oak tree and soak up the sun with views over the garden and the mountains beyond. The room consists of a king size bed and an en-suite bathroom with bath and shower. Equipped with ceiling fans, mini fridge, tea/coffee facilities, hairdryer, and bathroom amenities. Wheelchair accessible. Free WiFi and off street parking provided. This spacious bedroom is well-appointed and individually decorated with it’s own private entrance. Relax under the oak tree and soak up the sun with views over the garden and the mountains beyond. The room consists of a king size bed and a en-suite bathroom with bath and shower. Equipped with ceiling fans, mini fridge, tea/coffee facilities, hairdryer and bathroom amenities. Wheelchair accessible. Free WiFi and off street parking provided. Discover new experiences in the Breedekloof only one hour’s drive from Cape Town! We aim to make your event a memorable occasion. 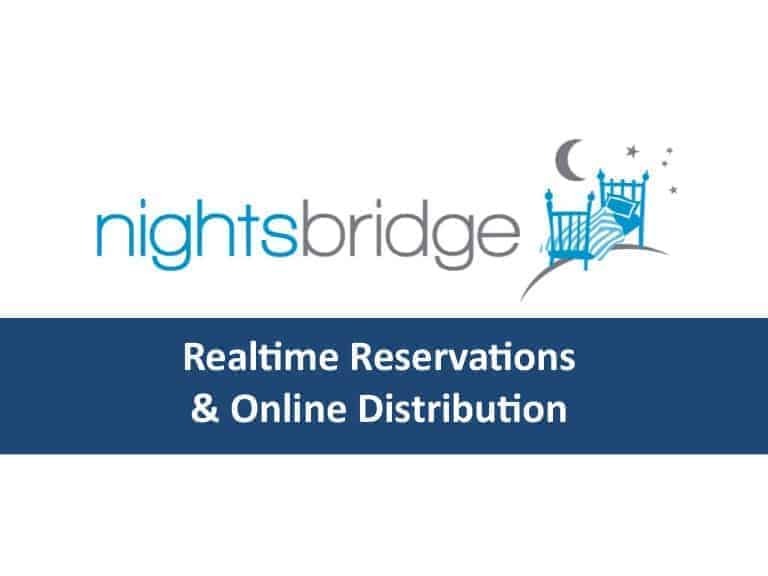 Whether private or corporate, we will customise to your requirements. 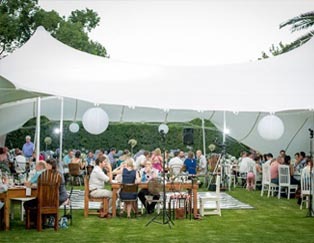 Functions/Events we have hosted in the past include: parties, conferences, year-end functions, stork teas, baby showers, garden club meetings & wine club evenings. 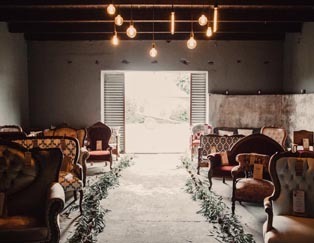 PicardiPlace has become known for its slightly avant-garde weddings – it offers an authentic, earthy mood that reflects our philosophy and surroundings. Picture a Bedouin tent under the stars amongst the vineyards with your friends and family dancing the night away. 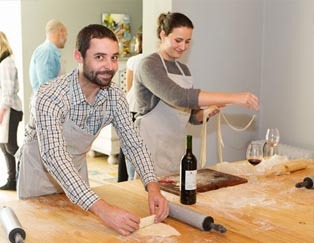 We offer unique and interactive Italian Cooking classes. 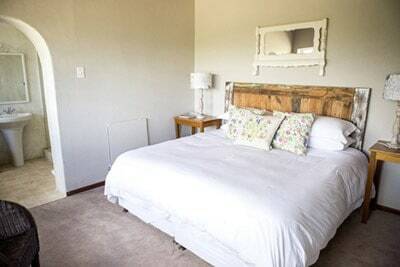 Classes start at 10am with a welcome drink from your host Jaco Brand that will do the introduction to the day, thereafter off to our permaculture vegetable garden where you will be picking your own fresh produce. What a stunning setting. All the rooms are so unique, comfortable and just stunning. Everything was so well planned and executed, from the wine tasting in the herb garden to the pasta making classes. WELL DONE JACO you are a great host. I will definately recomend this to anyone that is looking for that WOW weekend away. Best place for bride to stay over the night before the wedding, and get dressed the day of the wedding if youre getting married in Rawsonville area.. Jaco’s food is amazing! Hospitality out of the world! Jaco is one of those persons that immediately let you feel as if you are at home. Everything is in immaculate order and well executed, from the mint in the water to his gardens – and that is picture perfect! It is an enjoyable experience doing the sustainable garden, pasta course and the stay over. His place is beautiful.